At a glance of its name, it caught my attention as it reminded me of the food heaven that we frequently patronized in Malaysia, Johor Bahru. 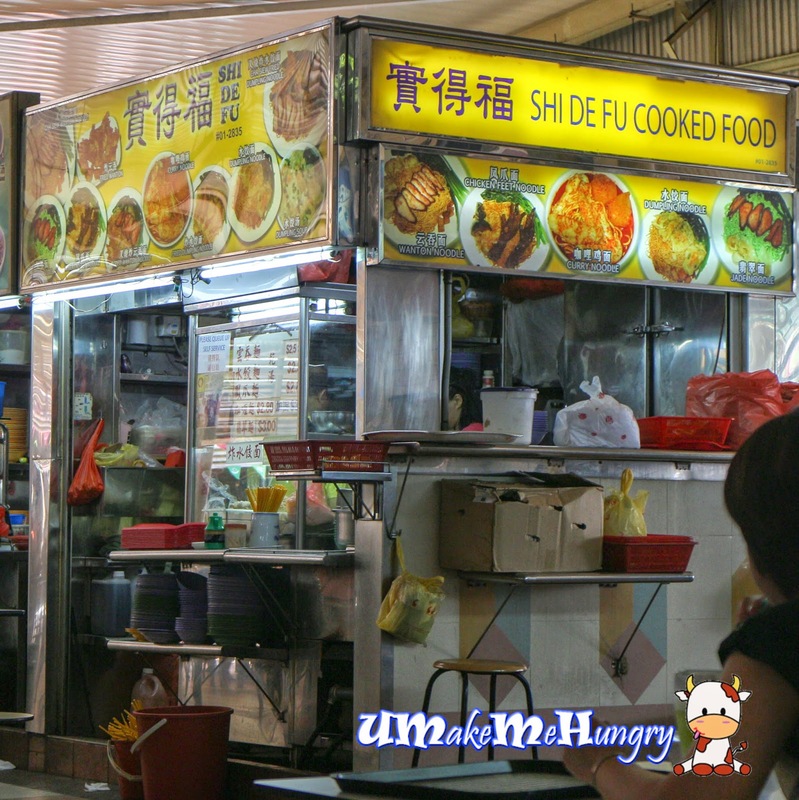 Located at end of the row of the stalls, Shi De Fu had the privilege to show up more of their menu at the side of their stalls. Noodles were lightly doused with light soy sauce and a few pieces of greens. 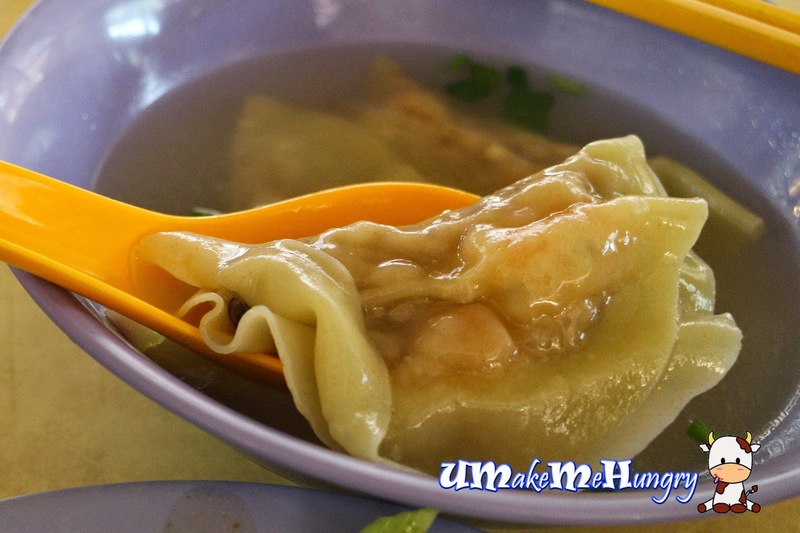 Dumplings' taste was a let down, it was bland and the skin was rather thick. Moreover, there was no sight of chestnut found or even any crunch in it. Though the characteristics of the meal wasn't too pleasing to me, it still make a very down to earth bowl of noodles that can fill one's stomach on any normal day.